The food, the sightseeing and the experiences, everything had been perfect about Kolkata. The rich culture of the land, its influences and the historical significance of places since the early times and more so during the British period had made Kolkata vary important and interesting. 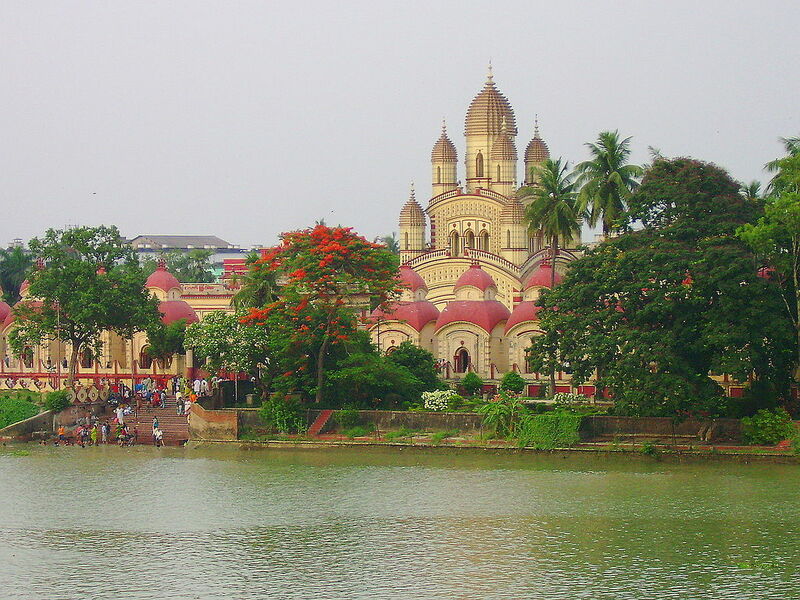 This day I had plans to make the trip to the Dakshineswar Kali Temple, Kolkata. It would take close to one hour from my hotel to the Hindu Temple which is famous for the Bhavatarini avatar of Maa Kali along the banks of River Hoogly. The car conveyance had arrived right on time and I had also showered and eaten by then. It seemed that I was taking a similar route through the Bypass and then through some heavy traffic areas on to a road called Shyam Bazaar and then eventually to the Temple which is really famous in this part of the country. The temple entrance is thronged by vendors selling items needed for the Puja, the flowers and other important articles of offering. I had asked the driver of my car to fetch me all the things because it seemed intimidating speaking to native Bengalis for the wares. I entered the premise and serenity engulfed me completely. There was a huge open courtyard in front of me with temples on both sides. 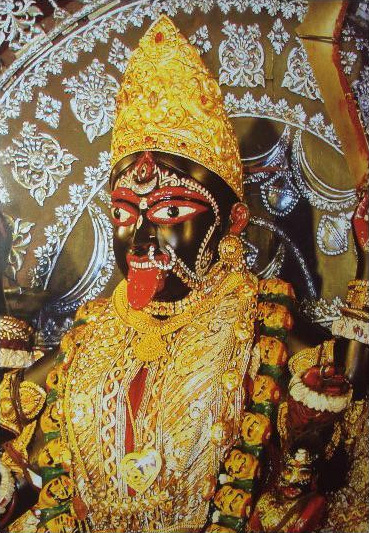 The temple had been built by Rani Rashmoni and she purchased the land from an Englishman to fulfill her dream that she supposedly saw where Goddess Kali herself inspired her to have the temple constructed. There is the south facing temple of Goddess Kali and twelve temples opposite it of Lord Shiva. I also came across the temple of Radha Krishna and the shrines of Ramakrishna and his wife Sharada who have had long associations with the temple. Devotees also take a dip in the holy riverbank close by and can take boats to enjoy the rural unpolluted atmosphere. It was indeed a great experience through the boat near the Dakshineswar Kali Temple Kolkata and my driver had promised me that he would take me to the Howrah Bridge while returning. I exited after offering my prayers and proceeded to my journey back. 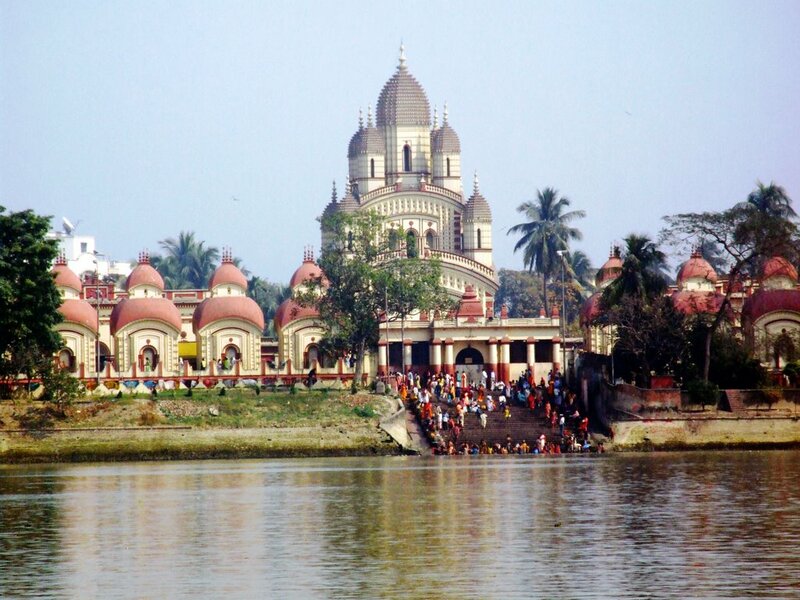 This entry was posted in Attraction, Temple, Tourist Place and tagged dakshineswar kali temple kolkata. Bookmark the permalink.